Heimsath Architects participated in the annual Metz Elementary Career Day. Students of all grade levels were introduced to possible careers in a wide range of fields from finance and high tech, to life safety and construction. Ben Heimsath talked about careers in architecture with 3rd and 4th grade classes. 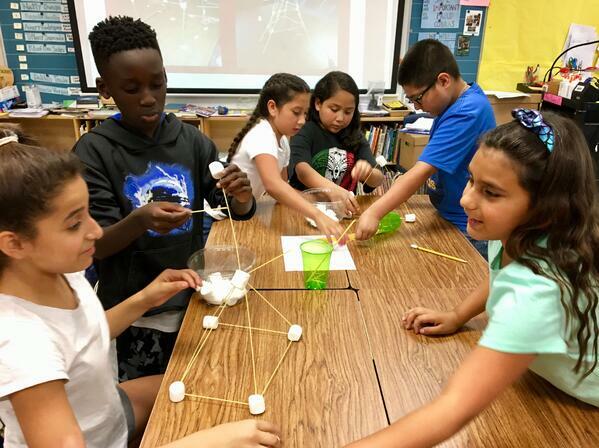 By far the most popular part of the presentation was a marshmallow construction challenge. 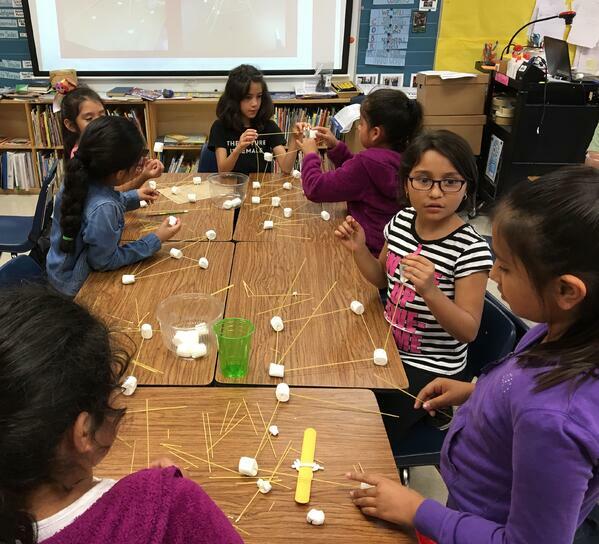 Small groups had 10 - 15 minutes to construct a tower with sticks of spaghetti and bowls of marshmallows. In spite of snapped pasta and sticky hands, students learned about planning and executing design ideas. And at the end all children were offered fresh marshmallows to eat! Heimsath Architects were joint venture architects designing Metz Elementary School in 1992. The firm has been assigned several Metz renovation projects since then including the most recent in 2015. Ben Heimsath continues to support the school and frequently helps his wife, Sandi Heimsath and her 4th grade class.